Off on your holidays? Well think skylink! It's the fastest way to start you holiday, with 24 hour buses to East Midlands Airport from Derby, Nottingham, Leicester and Loughborough, plus all the towns and villages in between. 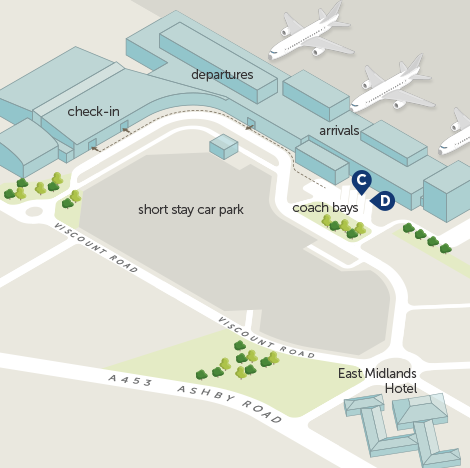 We also have skylink express, our fast and direct coach from Nottingham to the front door of the airport. 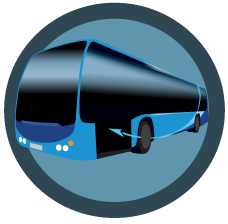 Our skylink buses and coaches are smart and comfortable and our drivers are famous for their courtesy, friendliness and professionalism. You'll be welcomed on board every time - so, whether you're flying off somewhere exotic, just going to work or making a shopping trip, skylink is your best route every time. We all know how stressful it can be to get the family ready for the big trip, trying to cram everything in to the car and then working out how you will all fit in it! Well we've tried to make things as simple as possible with our family ticket. 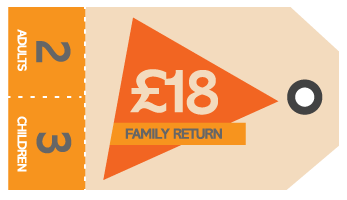 Up to 5 people (2 adults, 3 children) can get return travel on any of our skylink buses for just £20. The return trip is valid for up to 31 days from the point of sale. Just ask your driver when you board, we've got plenty of luggage room for you, the kids and all your duty free bargains. 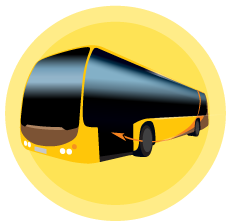 ...is your handy, smart bus to East Midlands Aiport from Derby, Leicester, Loughborough and Castle Donnington. With a brand new fleet of Mercedes buses, skylink Derby is one of the best ways to have a stress-free journey to the airport. 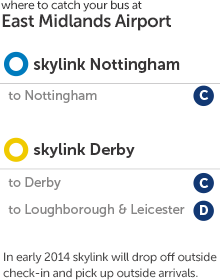 skylink Derby also runs 24/7 and has buses up to every 20 mins. ...is your handy bus to East Midlands Airport from Nottingham, Beeston, Long Eaton, Castle Donnington, Coalville, Shepshed and Loughborough. It runs 24/7 and has buses up to every 20 mins. With superfast WiFi on board and our dedicated team of friendly drivers, skylink Nottingham has been a popular route to the airport for many years.